The State of California is planning to close 70 state parks this year due to budget issues. If you live in California, I urge you to visit the California State Park Foundation to learn how you can voice your thoughts on keeping them open. Our parks are places for all to enjoy, places that help the local economy, and places in trust for future generations. Please express to your legislative representative that there are better ways to save a few million dollars. 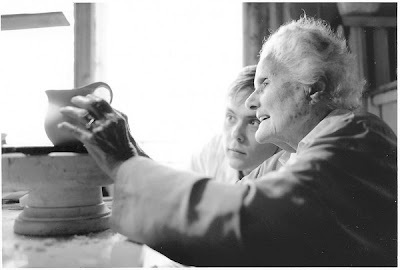 This past Friday, December 30, 2011 marked the end of a beautiful life and career of Eva Zeisel. I have blogged often about Eva, her passion, her life and her designs. The world will miss her creative "playful search for beauty". Design was always a pleasure for Eva who continued to design and release new lines and products. Design kept Eva youthful, discovering and pleasing us all with her immense talent. 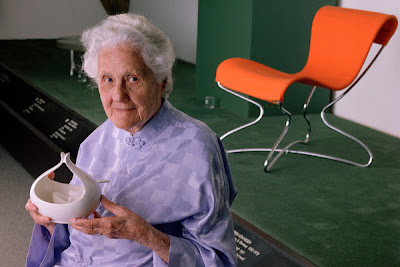 Eva Zeisel was one of our most influential industrial designers. Ms. Zeisel had the first one women show at the MOMA and her creative visions are in the permeant collections of every major museum. Her work was non conformist, full of life and beauty. Her joy was creating products for the home and the past few years have seen a huge selection of her work in retail outlets and museum stories. Please read the New York Times article and the Los Angeles Times article on her life. Eva's spirit and creative passion will live on and I will think of her each time I use her products in my life. Thank you Eva for sharing your playful search of beauty with us all.